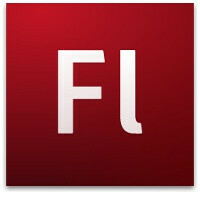 Up until now, Adobe Flash 10.2 - bringing smoother hardware accelerated video playback for HD videos on Honeycomb tablets - was in its beta stage. The new version, just released on the Market, is free and fixes the security hole uncovered earlier across all Android-running gadgets. The main beneficiaries of the Adobe Flash 10.2 however might turn out to be not current, but rather upcoming devices who are expected to ship with an updated version of Honeycomb – 3.1. At least that's the kind of connection suggested by the screenshot captured by Droid Life. Subsequently, though, the version number was changed to 3.0 on the Market, matching the one on the Motorola XOOM along with a couple of other tablets running Honeycomb, so their performance should also be improved. And the number of supported tablets will increase significantly in the coming months when new products are to be launched. But what's most important is that the latest version of Adobe Flash goes one step closer to delivering a full-blown web browser to your tablet. And that's what we all want, isn't it? Download link is below. Haha, Android 3.1 is coming. Hope they'll fix all bugs. Well, now people can stop bitching about flash not being on the XOOM. That might boost sales a little bit. wasnt the no flash on the xoom fixed like the week after it was released? Its been on the LG Slate the entire time. They weren't satisfied with the beta, I guess. i see some jealous ibots have been coming through giving us all thumbs down. hey hows that flash running on your iOS? lolol.